Willingness to undertake the role an accredited visitor as an ongoing commitment and to complete accreditation requirements? If the answer is yes, then contact us to enquire about becoming a visitor for an older person in your local area. We are looking for volunteers to help us. Right now we need help in the office to cover our phones when our co-ordinators are all out of the office. If you have a confident telephone manner, and would like to help out for an hour or so from time to time taking messages we’d love to talk to you. While we have an answerphone for the times the office is empty, many callers don’t want to leave a message or don’t leave any details about why they are calling. Volunteers are also needed to help our SayGo instructors with class set-up, measurement and observation. This does not have to be a regular commitment as we will accept help based on when you are available. In the Wellington area we have some 50 volunteer visiting clients who are isolated in their own homes. My most mature visitor is Mary Ryan who visits Ernie every Sunday. Ernie and Mary’s combined ages are 189 years and of course Mary is the younger of the two! I had a chat to Mary recently to learn a little of her past and she tells me she was born in Pahiatua and attended the District High School there. She was a keen member of the Girl Guides and later the Rangers. 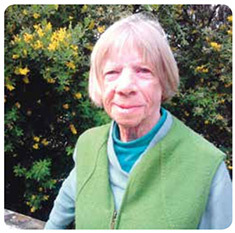 Mary trained as a nurse at Wellington Hospital and then embarked on her O/E. Her first job in London was working at a Lyons tea shop which was a real institution in Britain at that time. She then worked as a nurse both in London and then later returned to work in Melbourne. This was the time of the Polio epidemic and she did a Polio course in England. On her return to NZ Mary did a midwifery course in Auckland and a Plunket course in Dunedin. After some time back in Pahitua Mary became a nurse at St Helens hospital in Wellington and worked there until her retirement. However her retirement was only temporary as she spent four years at a drug clinic and four as a nurse manager at Kilmarnock Rest Home. Mary is a breast cancer survivor and very grateful for the care and support she received at that time and enjoys her time now both in town and at her beach cottage in Raumati South. She and Ernie spend time talking about articles and the latest discoveries as written in the National Geographic magazine, testament to the saying ‘you are never too old to learn’. A big ‘thank you’ to Mary and all the wonderful volunteers who take time to visit those who are house bound and enjoy the company and conversation of a regular Age Concern visitor. 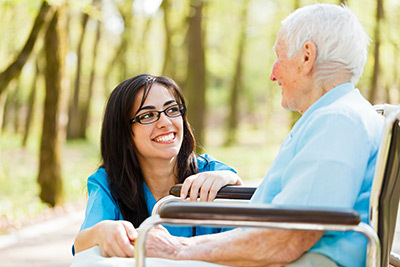 Volunteers for Age Concern come in every age and stage of life. In the article above we met Mary Ryan one of our older volunteers. This time I would like you to meet Lorraine Walmsley who in the midst of her busy life as a legal secretary in Wellington city, volunteered to meet Margaret (Peggy) who is in her early nineties and lives in the Porirua area. 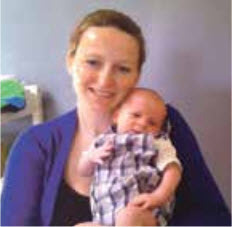 Lorraine has recently had a baby, Fionn and he is pictured here at just four weeks old with his mum. Lorraine was born in Burnfort, in county Cork in Ireland where her mum still lives. After travelling in Canada and Australia she came to New Zealand some eight years ago. She and her husband Bobby liked New Zealand so much they decided to settle here and are living in Camborne mostly because there are lots of walks and they have two very large dogs which are dogue-de-bordeaux breed. Lorraine really enjoys her visits to Peggy and says it is amazing what sort of lives older people have lived, it is just a case of tapping into their memories and being prepared to listen. They have become really good friends and Lorraine is very keen to take Fionn to meet her. The visiting service in both Wellington and the Hutt are always happy to meet new volunteers.